Many valves employed in industrial processes are controlled from remote control stations. They may have a manual override mechanism in the form of a lever or handwheel, but the primary operating mechanism, or actuator, is a powered unit that responds to a control signal and provides necessary torque or linear force to position the valve appropriately. There are several power sources used to drive valve positioning mechanisms, one of which is electro-hydraulic. 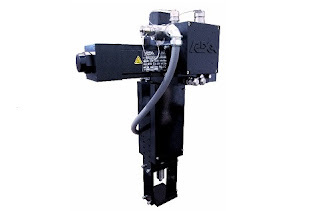 This self-contained system provides the operating characteristics of a hydraulic drive system by incorporating an electrically powered fluid system into the actuator package. The video below provides some additional detail. Consider the electro-hydraulic actuator as a candidate for your valve control applications, then share your requirements and challenges with product application experts. The combination of your process knowledge and their application expertise will yield an effective solution.